Join me over on Facebook and Pinterest too! Lucy that looks great! That is something I would never think to do. Great work! 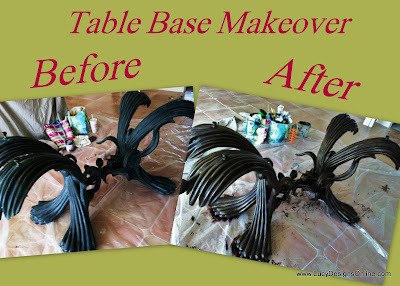 That table base is awesome, and the chairs will look great with it. p.s. My hands look exactly like that when I'm done with a painting project also. It is always evident what color paint I was using when I finish up.